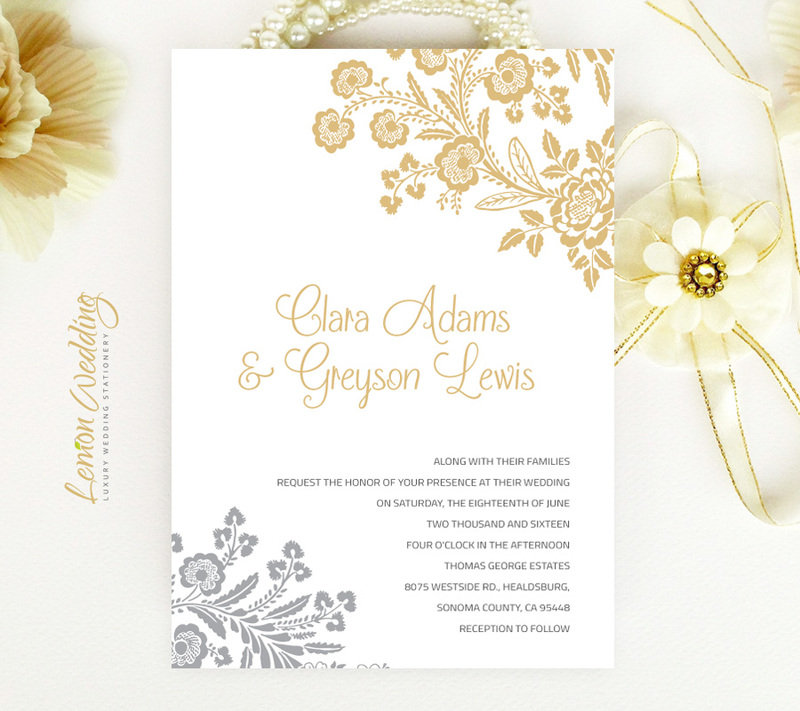 Reveal to your guests all the details about your elaborate wedding ceremony with our Gold and Silver Wedding Invitations. 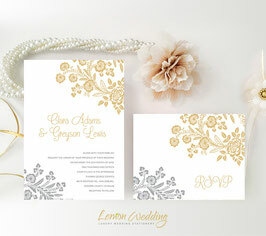 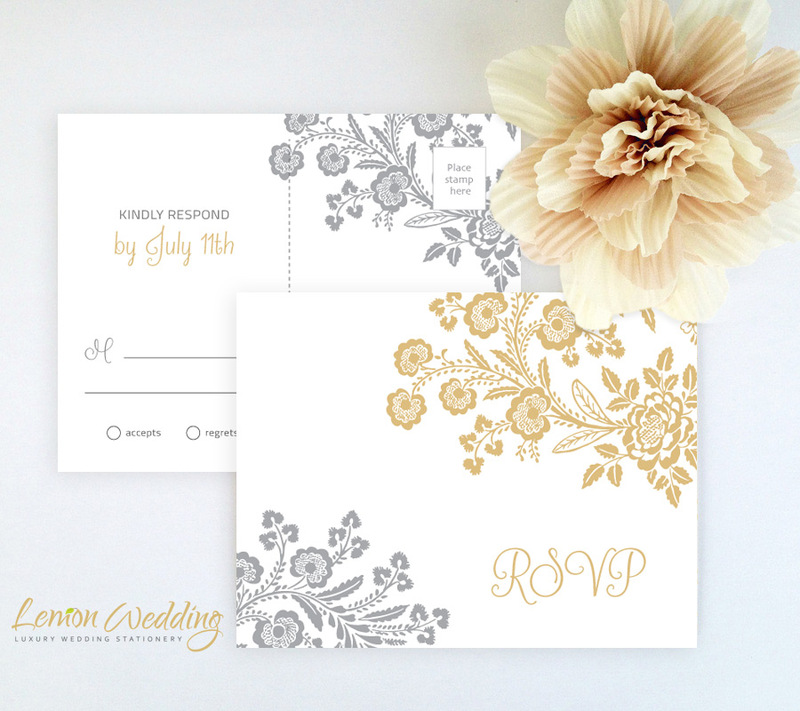 Sophisticated with a luxe finish, our Invitation set is decorated with a gold and silver floral design. Printed on premium card stock, our alluring wedding invitation set includes a wedding invite and R.S.V.P card.